Feast your eyes on the best tiramisu I have had till date. And considering I’ve had loads, this is really saying something. 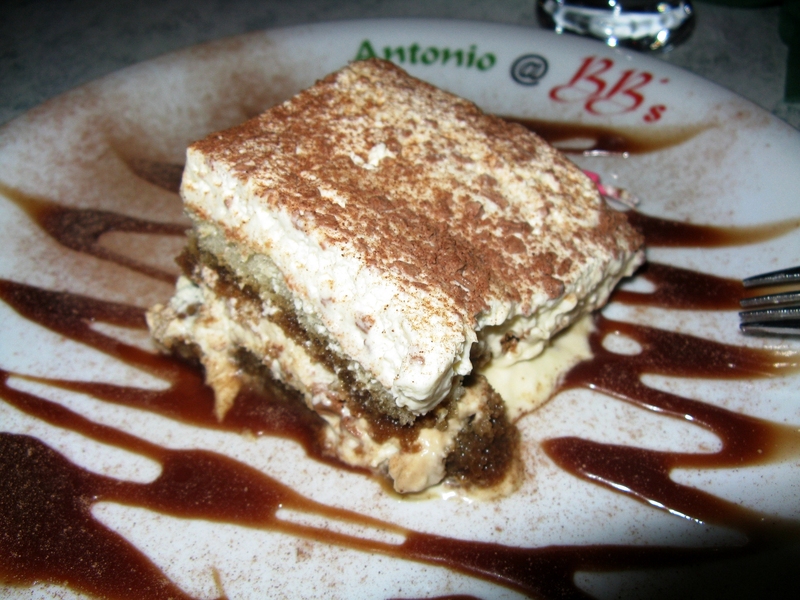 I had this on the day I was out celebrating my birthday – and the tiramisu made it oh-so-much better! To get this little treasure, come over to Sheffield, UK and head to Division Street to find BB’s Italian Restaurant. It’s small and unassuming, but you’ll really get your money’s worth!